All the World’s Primates shows you photographs or a drawing of every currently recognized taxon in the primate order with a synopsis of what is known about all 505 species. The information has been compiled by over 300 primatologists from around the world, who have done field research on their particular lemur, loris, galago, monkey, or ape in its natural habitat. The book illustrates these primates with more than 1500 photographs and provides more than 5000 references. You will be amazed by the diversity of the world’s primates, and it will inspire you to protect endangered primates and their habitats. 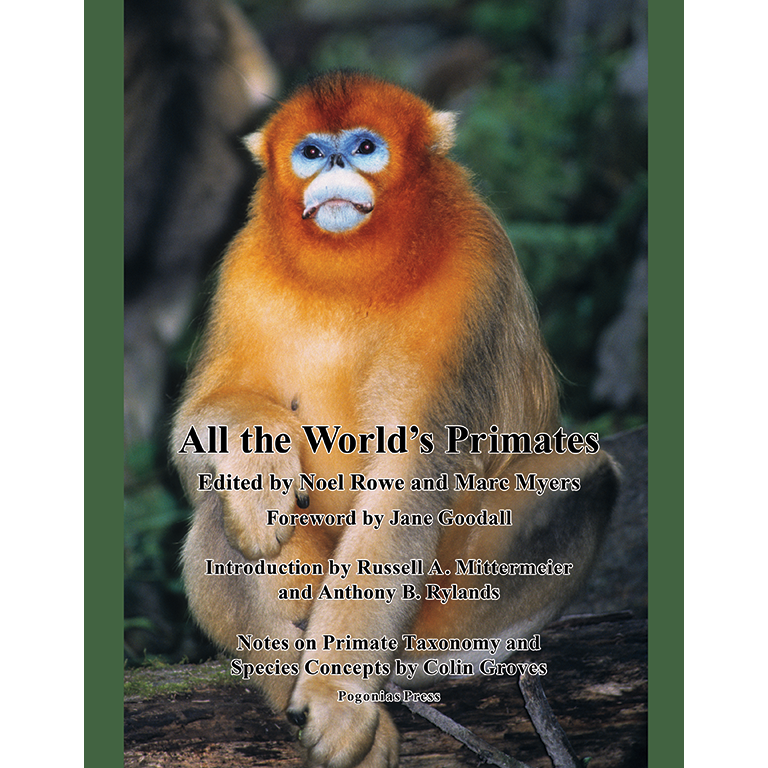 Fifty percent of the profits from the sale of this book will be donated to organizations working for the conservation of primates. Please allow 2-3 weeks for the delivery of books. Shipping included in the United States only by The US Postal Service. There will be an extra charge for faster service or overseas. Please call 401 284-2597 or email pogonias_press@msn.com. If you are on a budget. The All the World’s Primates website alltheworldsprimates.org is updated annually and has more information, references, photos, video and audio. For a donation to PCI of $39.95 you will receive access for the life of the website. For a donation of $19.95 you can access the website for 5 months (one semester). All The World’s Primates has won Silver Medal from The 29th Annual IBPA Benjamin Franklin Awards. Read more about this internationally recognized award here.